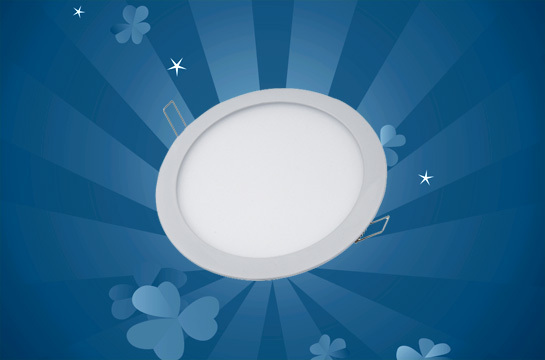 Round LED panel lights are versatile, easy to install and very easy to manage in the long run – besides, they come with very good heat conduction features as well. These panels are portable, highly convenient and very cost effective, and they come in a wide array of sizes and colors. 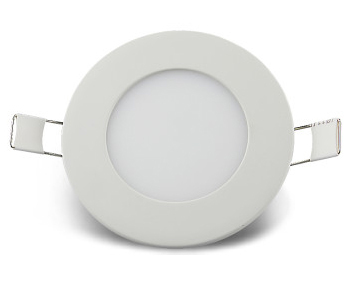 The sole difference between round and rectangular or square LED panel lights is that their shape is different – other than that, all these panels have the same functions and features, as they are especially designed to provide top-notch lighting with considerably less power, which results in lower electricity bills. The round LED panel lights have acrylic material on the inside, which aims to provide uniform and efficient light output even when used for a prolonged period of time. The direct lighting method delivers high luminous efficacy, and the panels require little to no maintenance which makes them perfect for areas that require constant, low-maintenance illumination such as industrial buildings. Moreover, the covers of the panel are usually made from anti-glare material, which has an outstanding heat dissipation structure that ensures uniform and even lighting. The panel dimensions may differ, although all of them are created for delivering a wide and generous optical lighting angle. The luminous efficacy of the round LED panel lights is usually not as high as the efficacy of the flat LED panels, although it is still very efficient as it often exceeds 75 lumens per Watt. Some of the most important benefits of the round panels is that they do not make any flickering when turned on, they make no noise and generate no UV light whatsoever. They have a high power factor and a very low luminous decay, meaning that they do not degrade in time. The round LED panel lights are available in different colors: you can opt for the single, traditional white color, you can choose bi-color panels, red panels, blue, green and such. The input voltage varies from one manufacturer to another although these round panels are designed to fit most plugs (100-277 volts). The life time of these round panels often exceeds 5 years, they are approved by the CCC, CE and the RoHS, while the average color temperature ranges anywhere between 2700k and 6500k. These panels rely on advanced back lighting technology and, as mentioned above, they come in a full range of colors. In addition to the classic RGB, you can opt for yellow, cool white, warm white, natural white and such. Also, the round LED panels can consume as little as one fifth of the total amount of energy a classic incandescent bulb panel would consume, and there are no RF interferences whatsoever. Besides this, the acrylic housing coupled with the aluminum back deliver outstanding thermal management. In spite of its numerous benefits, it must be said that the round LED panel is intended exclusively for indoor use, as it is not designed to withstand very harsh environmental conditions. These panels are not suitable for wet or damp conditions, as the inner circuits are prone to fail when moisture reaches them, even though they come with an acrylic housing. Free of lead and mercury, the round LED panels are very resistant to shock and vibration and the average life span is of 40,000-50,000 hours, depending on the conditions where they are used. The simple and straightforward “plug & use” mechanism of action make these panels a very popular option these days, as they provide great illumination without any effort. The average lumen output is between 500-700 lumens and the color temperature ranges anywhere between 2500 and 6500 (from warm white to cold white). 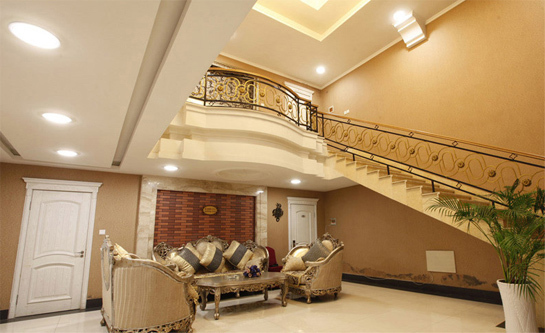 The color rendering index is above 80 and the power factor is usually between 92% and 97%. The panels are dimmable and they come with recessed wiring. 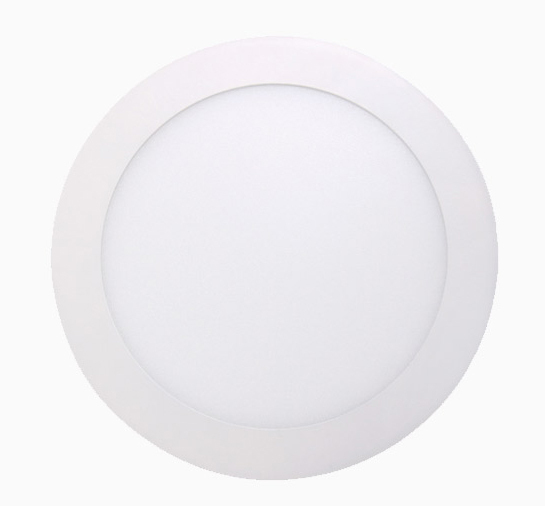 Given the easy and convenient push-in type of installation, the round LED panel lights are very common in warehouses, supermarkets, exhibition halls, hospitals, hotels, museums, offices, shopping malls or corridors. These LED panels are also suitable for staircase lighting and they are perfect both for commercial and for residential use. At the same time, it is not uncommon to see round LED panels in colleges and universities, lower elementary schools, institution buildings, conference or meeting rooms and even factories. Power consumption: 25W; Input voltage: AC 100-240V; Dimension: Ø300×H13mm; Cut-out hole: Ø280mm; LED quantity: 125 pcs; Light source: 2835 chips; Luminous flux: 2180lm; Color temperature: 3500K, 6500K; Warranty: 2 years. Power consumption: 3W; Input voltage: AC 100-240V; Dimension: Ø85×H13mm; Cut-out hole: Ø70mm; LED quantity: 15 pcs; Light source: 2835 chips; Luminous flux: 200lm; Color temperature: 3500K, 6500K; Warranty: 2 years. Power consumption: 4W; Input voltage: AC 100-240V; Dimension: Ø105×H13mm; Cut-out hole: Ø95mm; LED quantity: 20 pcs; Light source: 2835 chips; Luminous flux: 290lm; Color temperature: 3500K, 6500K; Warranty: 2 years. Power consumption: 6W; Input voltage: AC 100-240V; Dimension: Ø120×H13mm; Cut-out hole: Ø105mm; LED quantity: 30 pcs; Light source: 2835 chips; Luminous flux: 440lm; Color temperature: 3500K, 6500K; Warranty: 2 years. Power consumption: 9W; Input voltage: AC 100-240V; Dimension: Ø146×H13mm; Cut-out hole: Ø130mm; LED quantity: 45 pcs; Light source: 2835 chips; Luminous flux: 660lm; Color temperature: 3500K, 6500K; Warranty: 2 years. Power consumption: 12W; Input voltage: AC 100-240V; Dimension: Ø174×H13mm; Cut-out hole: Ø155mm; LED quantity: 60 pcs; Light source: 2835 chips; Luminous flux: 890lm; Color temperature: 3500K, 6500K; Warranty: 2 years. 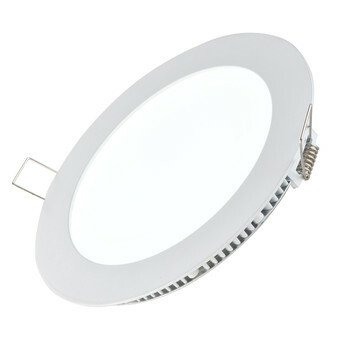 Power consumption: 15W; Input voltage: AC 100-240V; Dimension: Ø200×H13mm; Cut-out hole: Ø185mm; LED quantity: 75 pcs; Light source: 2835 chips; Luminous flux: 1200lm; Color temperature: 3500K, 6500K; Warranty: 2 years. Power consumption: 18W; Input voltage: AC 100-240V; Dimension: Ø225×H13mm; Cut-out hole: Ø210mm; LED quantity: 90 pcs; Light source: 2835 chips; Luminous flux: 1600lm; Color temperature: 3500K, 6500K; Warranty: 2 years. Power consumption: 20W; Input voltage: AC 100-240V; Dimension: Ø237×H13mm; Cut-out hole: Ø230mm; LED quantity: 100 pcs; Light source: 2835 chips; Luminous flux: 1860lm; Color temperature: 3500K, 6500K; Warranty: 2 years.